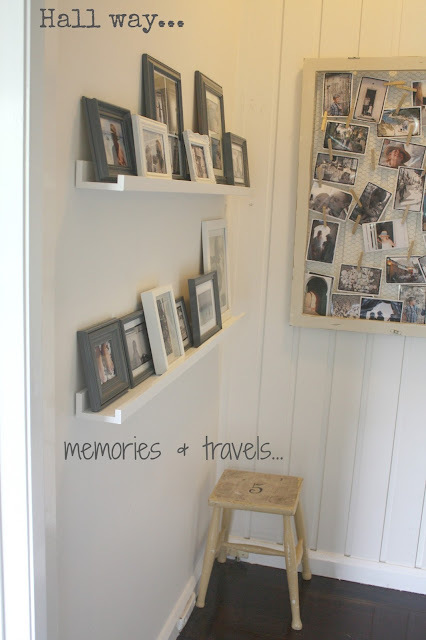 And a cheap and cheerful look at the frames I sprayed back here as a *weekend project*! 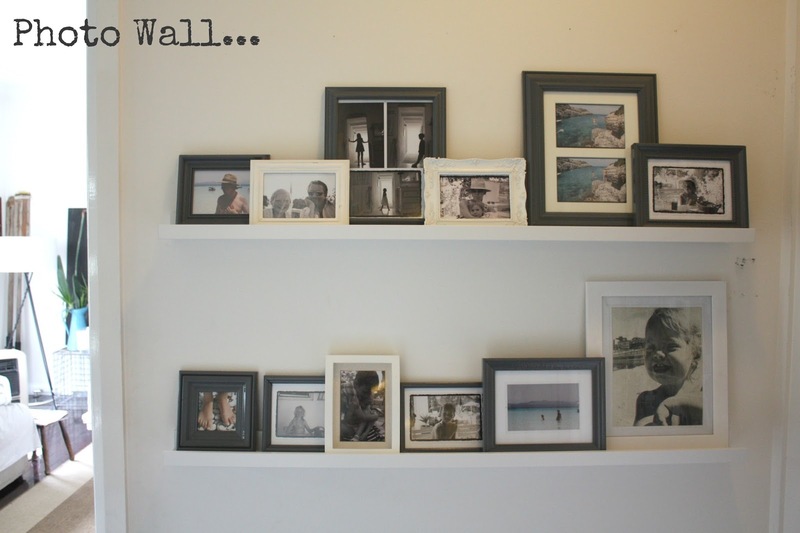 The wall shelves were no more than $25 each and the frames no more than $2 each! I'll take that and throw it in my I love to decorate for my kids health basket!! 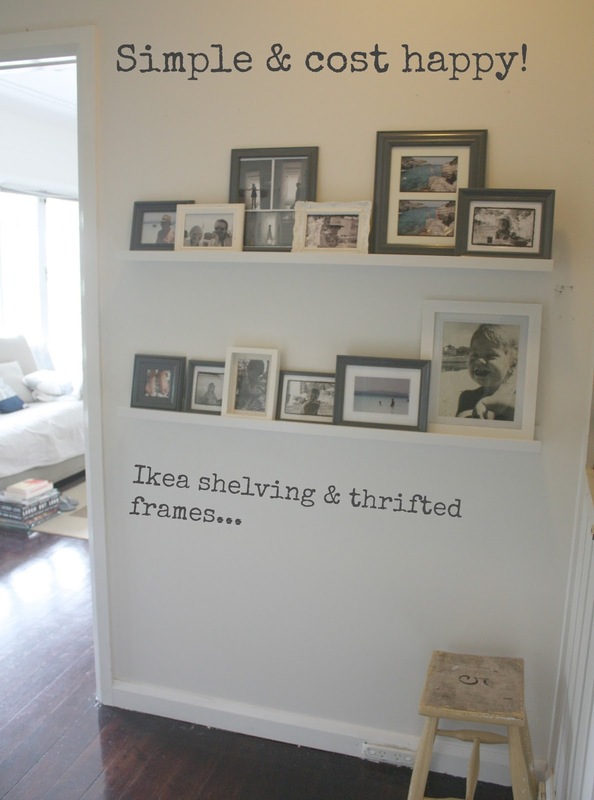 I'm thinking there may be another trip to IKEA and a few more shelves added! Enjoy your day- may you have a creative moment somewhere along the way! This is perfect! I get so bored with things I put on the wall, that this is the perfect way to keep them interesting to me!